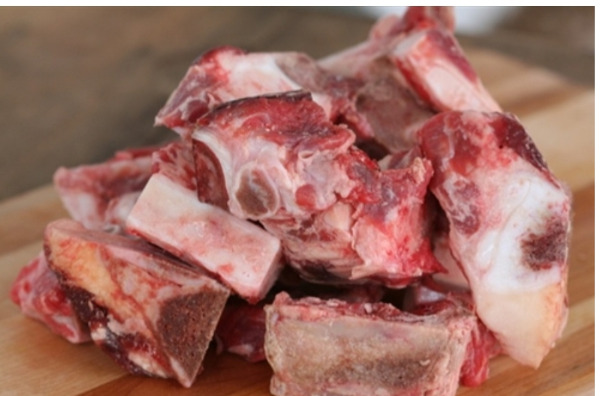 100% Grass-fed beef bones for stock/broth. Package contain meat bones and weigh 1.5-2.5 lbs. Our beef is raised by rotational grazing and environmentally sustainable practice with no hormones, or chemicals. Each one of our animals are raised on a pasture based, beyond organic, local farm to market model that heals the land, heals the food, and heals the culture one bite at a time.USA / Indiana / Madison CountyIn addition to our First Fruits Family Farms Label, you will also notice the processors label from Maddie Moos.